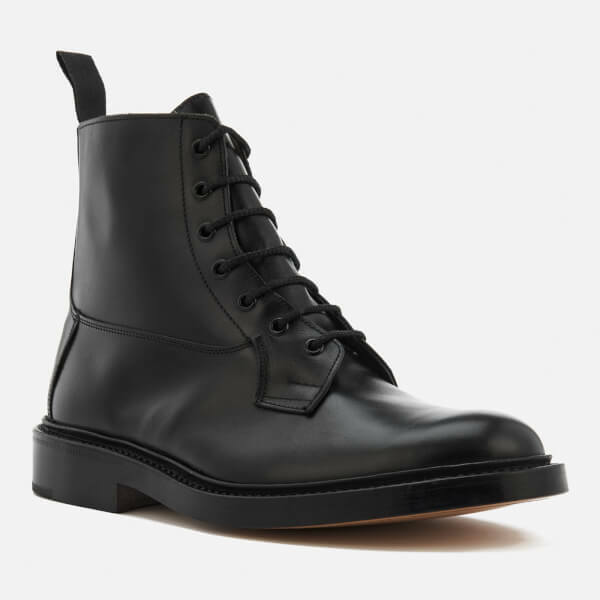 Men’s black leather Derby boots from British heritage footwear brand, Tricker’s. 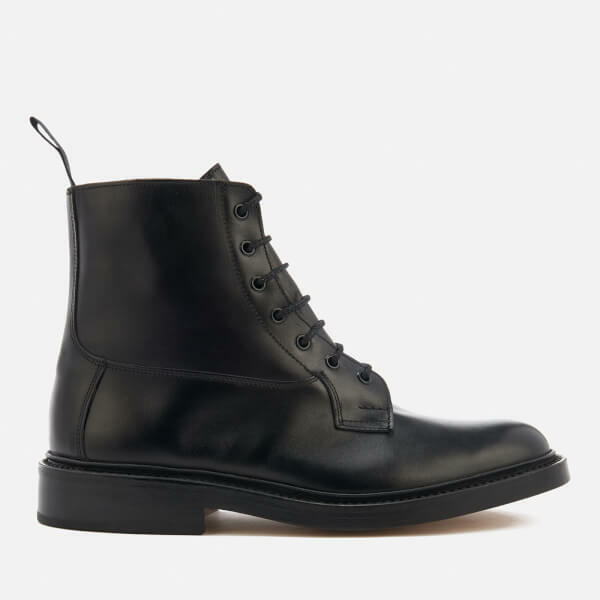 Based on country classics from 1829, when Tricker’s was founded, the ‘Burford’ ankle boots are crafted with smooth black leather uppers. 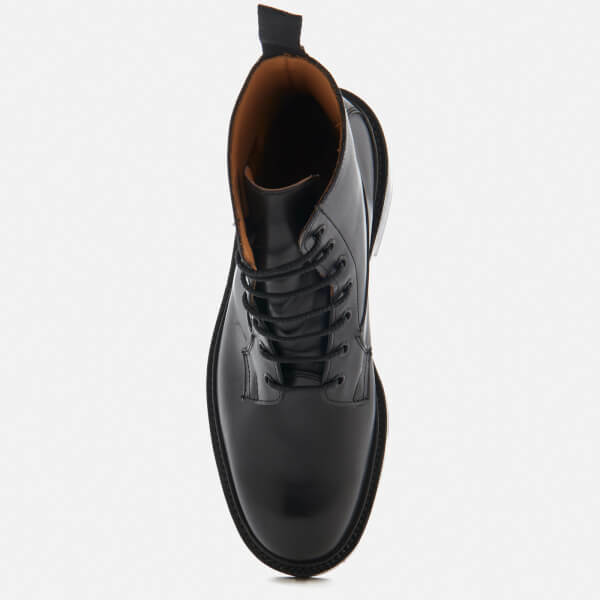 Fastened with a seven-eyelet lace closure, the boots feature a bellows tongue and storm welt for increased wet weather protection. 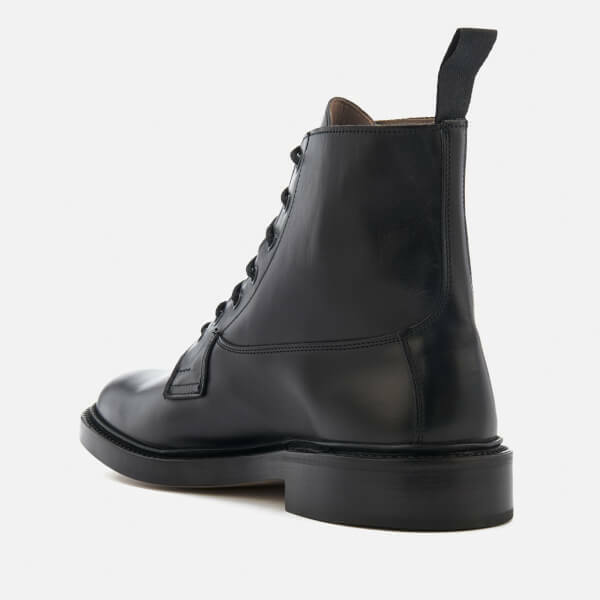 The boots have a leather sole with a small heel and double stitching for durability. 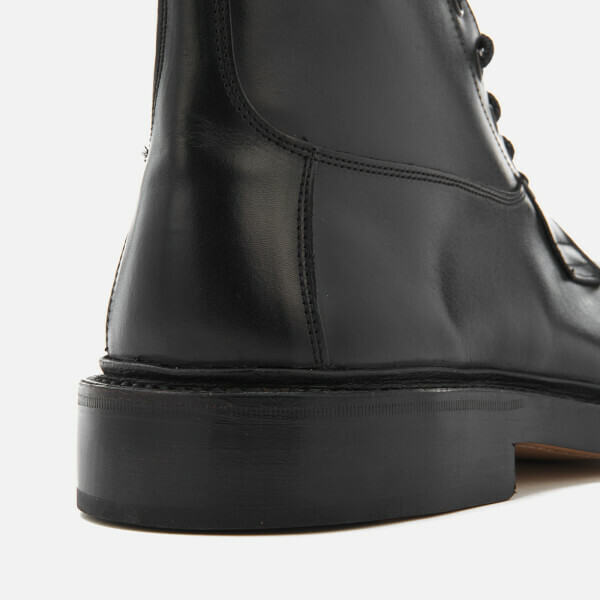 Complete with leather linings and heel pull loops. A branded dust bag and dust cloth is included. Upper: Kudu Leather. 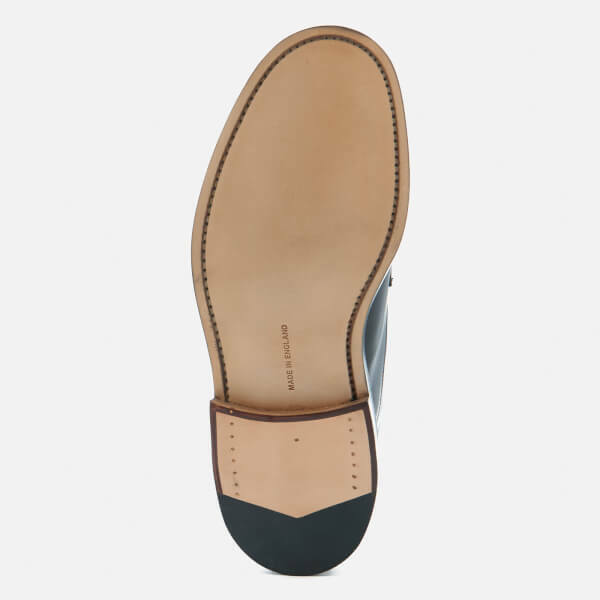 Sole: Leather.